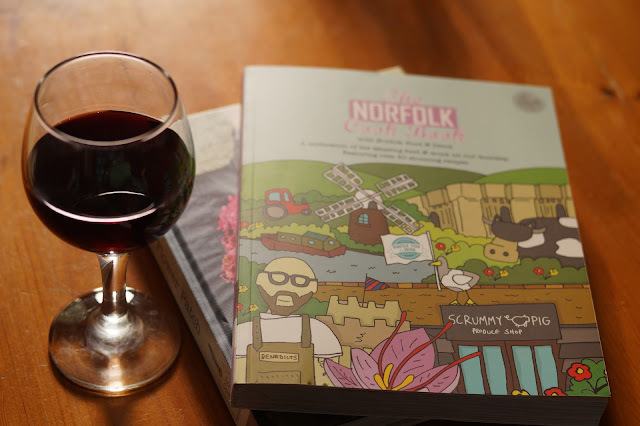 Norfolk boasts an amazing range of local eateries, restaurants and producers; it's inspiring to take a closer look. 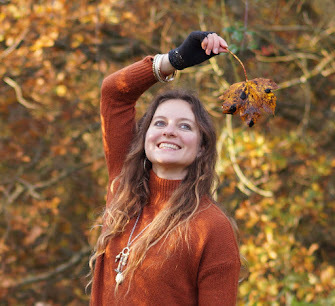 We've been fortunate enough to enjoy sampling plenty of places over the years as well as to travel across the county enjoying the countryside which is essentially where it all starts, the land. Animals are reared, crops grown and the hard work is put in at the earliest stage, giving strong foundations to the chain. 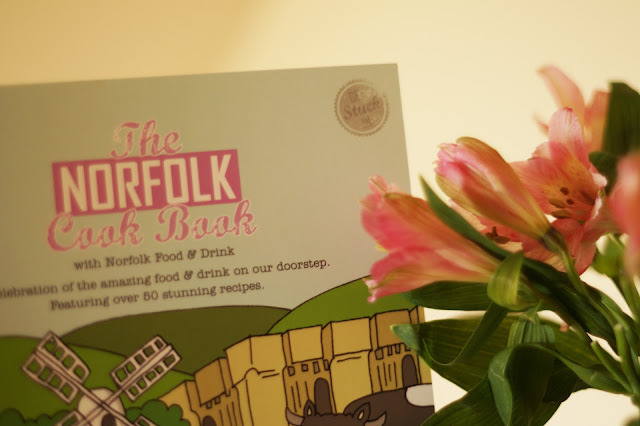 I got my hands on The Norfolk Cookbook which is a celebration of all that is great about our culinary offerings throughout the county. 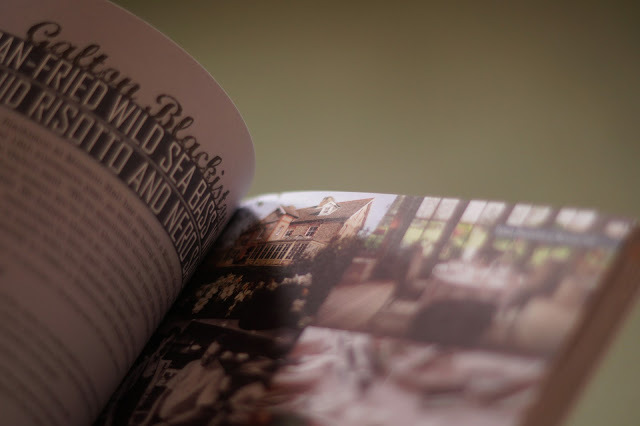 The book is far more than a recipe book and gives a wonderful insight into many familiar places as well as introducing some new names to me. 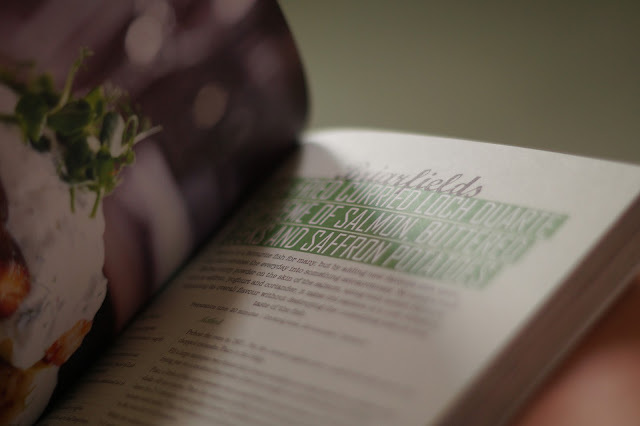 The recipes from each featured chef, restaurant and producer are clear, detailed and range from exotic to a great classic. 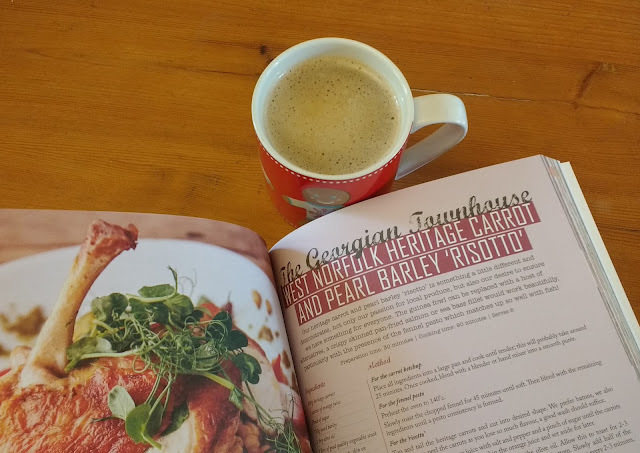 I've really enjoyed pouring over this book while having a coffee, getting a few ideas and oogling over the gorgeous looking dishes. The photography is superb and there's plenty of it too. In fact the whole layout is a visual delight. I'm looking forward to getting my ingredients and cooking. On the other hand I could just book a table and eat the real deal? It sound good to me. Many thanks to Meze Publishing for sending me this book to enjoy, I'm really impressed with the high quality content, brimming with ideas. All opinions are my own as always. 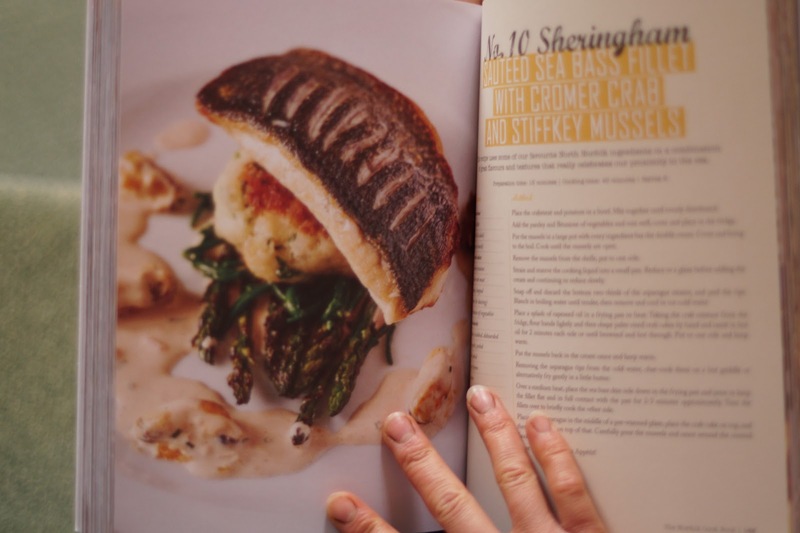 I love it when cook books have lots of delicious looking photographs, if a recipe doesn't have a photo, I won't cook it! Mmmmm...I do adore ogling over recipes and their tantalizing pictures!